Want to make the easiest baby gift ever? 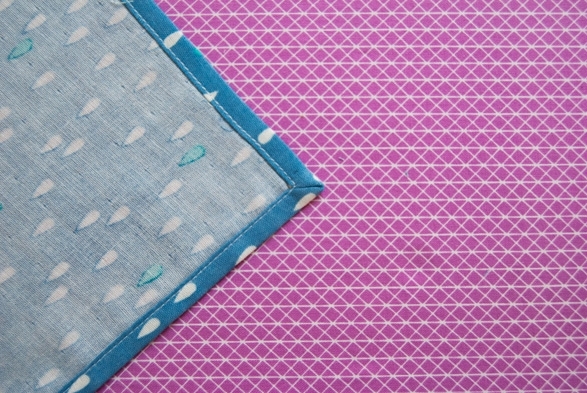 Forget rushing and staying up late the night before a baby shower to make a quick quilt. Don’t grab a random ball of yarn and attempt to be the world’s fastest knitter of the world’s tiniest hat. Grab some fabric and few snaps, and with a simple straight stitch you can have a lovely box full of adorable baby bibs ready in no time! Emmerich is a drooler. Always has been, and goodness, I hope he’ll be growing out of this soon. But even if your friend or loved one’s baby (or your own baby), isn’t a drooler now, they will be at some point! In which case you’ll need a bib, and who wants a baby to have to wear a giant square of ugly waterproof fabric for 12 hours a day? Not me! 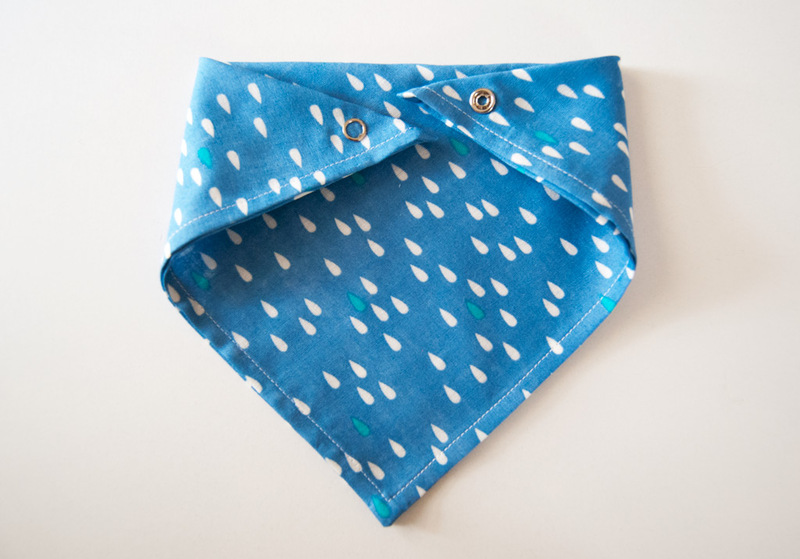 Instead, make these super easy and really cute baby bibs! I’ve been sitting on this tutorial for…oh…EIGHT MONTHS? Ha! I’ve had the photos edited and everything, but haven’t quite gotten around to sharing it until just now. Considering we use these every day, I thought I should finally share how I made them. 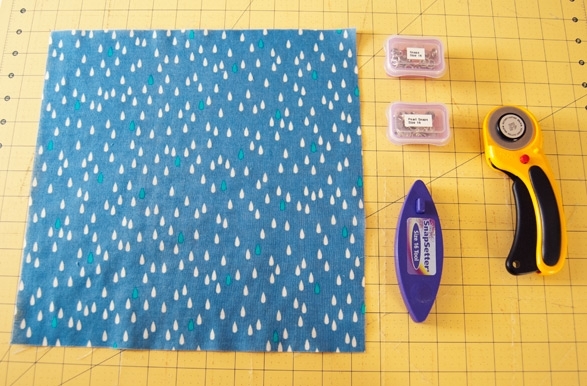 Start with a square of fabric that measures 18″ x 18″, and a set of snaps. I recommend using a double gauze or flannel, as these are soft but super absorbent. 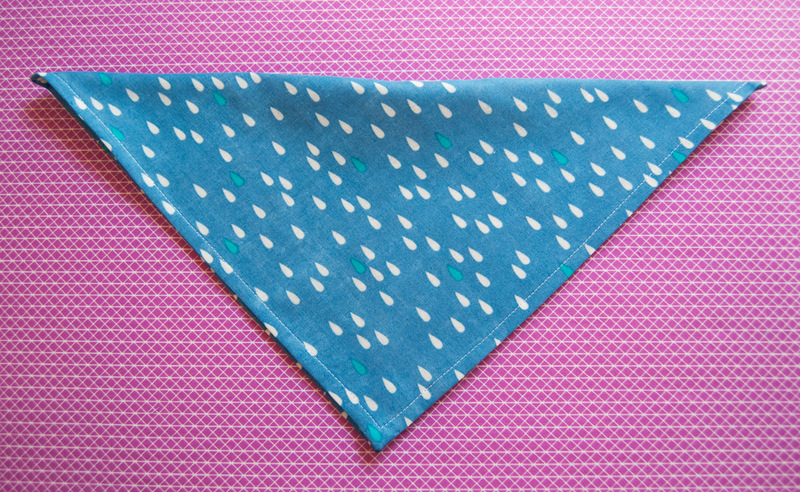 A quilting cotton won’t do as nice of a job of absorbing every little droplet that runs down a baby’s chin. I like using my SnapSetter tool and pronged snaps, but use whatever you have on hand. A snap is nice instead of Velcro because a baby can’t pull the bib off, and also you don’t have to worry about Velcro tearing up other clothes in the washer. Next, finish your fabric edges. I start by turning all of my edges in at 1/4″, and giving them a good press. Then, turn in each corner by 1/2″, and give your sides another turn in by 1/4″. This will enclose all raw edges and give you a lovely mitered corner. 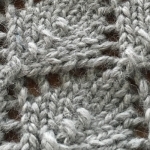 You can then sew all around your square, pivoting at each corner, and have a very professional finish. 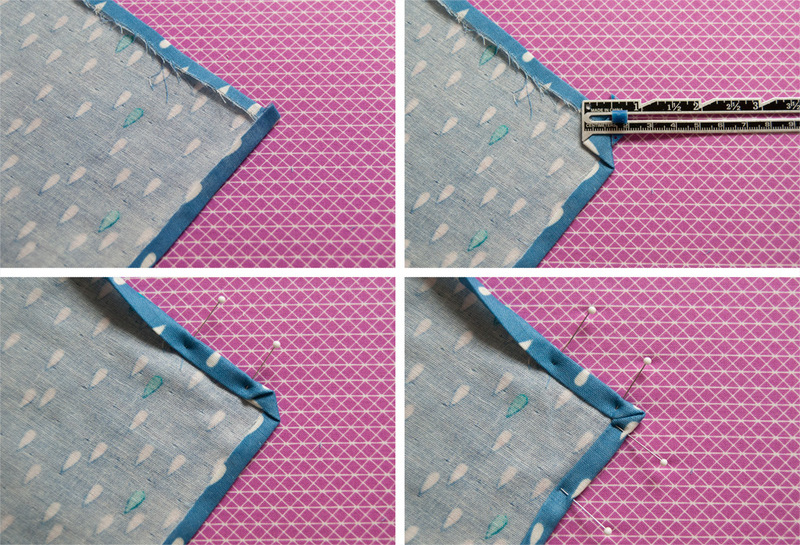 Once it’s sewn, fold the square in half, making a large triangle. Add a snap to either end of the triangle, paying attention to the sides of the bib so it will close correctly. Be sure you are inserting the snap in such a way that the bib will overlap, and not have the same side of the bib snapping to itself. And ta-dah! 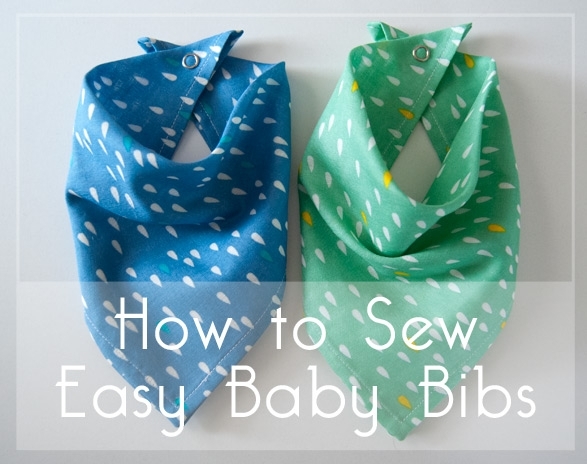 Super easy, super simple baby bibs! If you want to make these for an older baby, consider making your squares at least 1″ bigger all around. The closer your snaps are to the ends of the bib, the bigger it will be. If you wanted to make the bibs larger, but add a second set of snaps for sizing options, that would be a great idea. These have fit Em since he was wearing 6 month size clothes, and he’s only now starting to need larger ones (he’s currently wearing 2T month outfits). 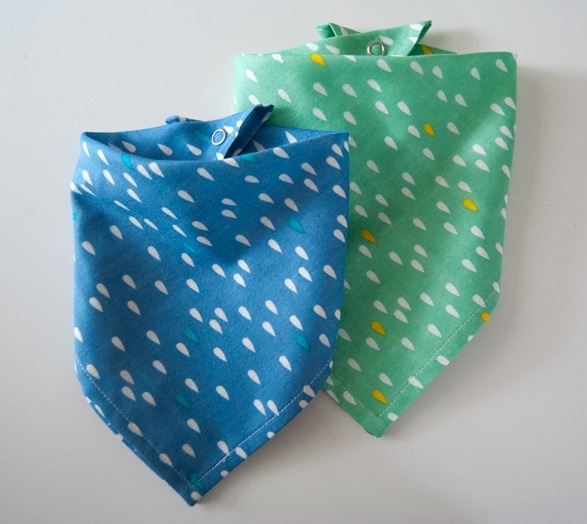 What other kinds of sewn items do you like to make for little ones as quick gifts? This entry was posted in Fabric, How to Sew, Projects and tagged baby, sewing on April 10, 2016 by Amy Alan. I’ve always wanted to make bibs for baby gifts but “afraid” of setting the snaps in, is it difficult? You’re welcome! It is really easy to put in the snaps. The snap setter comes with instructions, so as long as you carefully check your snap pieces to make sure they are all facing the right direction, it’s easy with a few quick hits of a hammer. You can always experiment on some scrap cloth if you are nervous! Thanks, dear! Yes, we are doing well, but getting awfully worn out by this high-energy toddler over here! How are things over your way? It’s so hard to find time for everything! Sewing my own projects has definitely gotten pushed to the side for some other work, and it’s really hard to feel like sewing anything, even when I have the time in the evenings. I want to relax and have no energy left! I don’t know how people with multiple kids and full time jobs ever make ANYTHING. Hi Jennie – I’m really sorry if this is a bad way to try and contact you! I would love to purchase your baby nest pattern if it’s available at all? I see your Etsy is down so I understand if you’re too busy. Thanks so much. Since she was only two years I have done for her clip on earrings. She loved it! 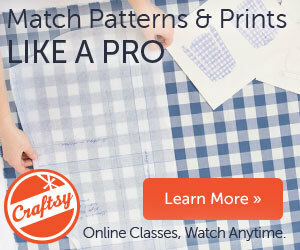 Older post: My Brand New Craftsy Class and a Giveaway!